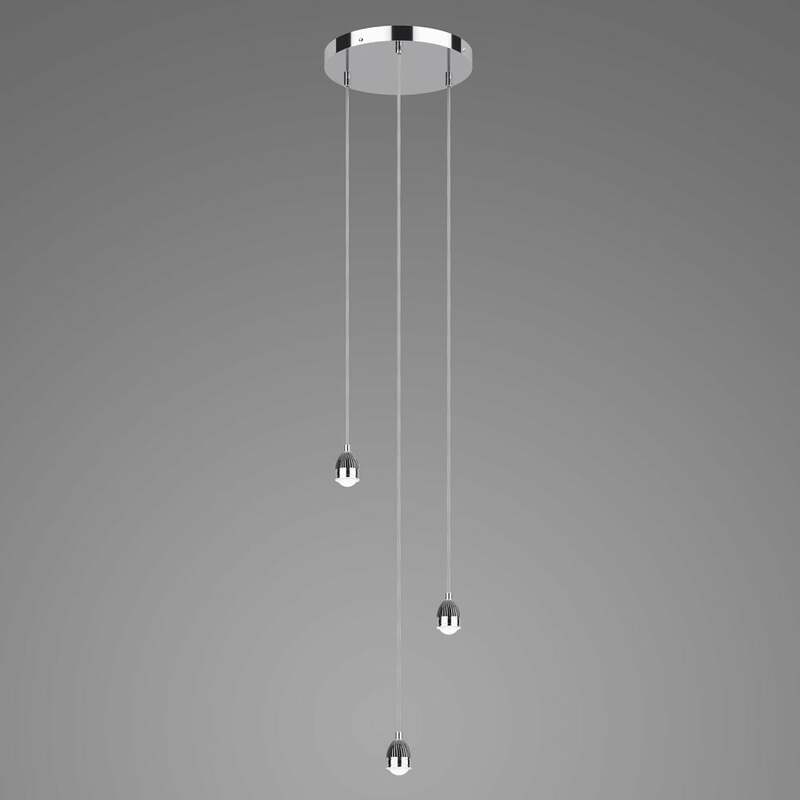 Dar 3 light LED cluster pendant with a circular ceiling plate and polished chrome finish. This practical modern pendant set is ideal for use with any ES/E27 easy fit shade and features attractive detailed metalwork above the LED lights themselves. The integrated 3000k warm white LED's are shielded with acrylic lenses to prevent glare. Comes with 200cm of cable and is height adjustable at the point of installation. This product code is SPL0350. A 3 light linear and a single light version is also available.